We have a winner! Linda M. was chosen by the random number generator at random.org. Please contact me by leaving a comment or sending an email with your shipping info, Linda. Life is a journey. Right? Always changing, always growing, right? For me, that means trying to cook and eat healthier. In my dessert-laden life, one of the things that I can do to eat healthier is to choose recipes some of the time that are free of refined sugar. Step one ... Get to know Amy Green. Do you know her? You should. She's the force behind Simply Sugar and Gluten-free. She writes a blog that is rich with information and inspiration, simplysugarandglutenfree.com. Every Tuesday, Amy hosts a link-up event called Slightly Indulgent Tuesdays (SIT) at her site. Visiting SIT is like discovering a good-for-you cookbook each and every week. The rest of the week, Amy provides recipes and tips to live and eat gluten- and sugar-free. As much as I love visiting food blogs, and boy do I, I really love holding a quality cookbook in my hands. I like turning the pages and discovering the treasures hidden between the covers. Amy's book, Simply Sugar and Gluten-free is rich with the information and recipes you need if you want to give reducing refined sugar a try. These recipes utilize a full range of options for sweetness -- coconut palm sugar, dates, stevia, applesauce and other fruits, agave nectar, etc. Not only does Amy use these ingredients in her recipes, she explains them along with different gluten-free flours and kitchen staples to ensure that your sugar- and gluten-free cooking will be a success. Because this isn't a vegetarian cookbook, not every recipe is right for me and my family. There are, however, lots of delicious options that work as written or with slight modifications. Some tasty titles include, Slow Cooker Pear Butter, Black Bean Soup, Chickpea and Summer Veggie Salad, Sweet Potato and Black Bean Tacos and Apple Spice Granita. One of the recipes that my family enjoyed was Chewy Chocolate Date Brownies. These had a great texture and a chocolaty flavor without the fat and sugar of traditional brownies. If you would like to reduce your sugar intake, this book is an invaluable tool. Lucky for you, the publisher of Simply Sugar and Gluten-free is going to give away a copy to a lucky reader! Feeling lucky? Enter to win a copy of my book, Welcoming Kitchen, over at Simply Sugar and Gluten-free! Happy Cooking (and Good Luck)! I've been to your site several time courtesy of SSGF and have used many of your recipes. I'm currently putting together a program for the school districts where I educate parents and guardians on cooking for children with food allergies and sensitivities. I will be featuring many bloggers and their cookbooks throughout my teachings and would love to add yours to my collection. I haven't used your cookbook personally as of yet and look forward to the opportunity. Good luck! I would love to help in any way that I can. 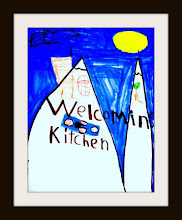 I teach a cooking class with my husband's class (elementary-school-aged children with autism). Email me if there is anything I can do to be of assistance. I am always looking for new ideas to maintain a clean diet and am currently questioning possible food allergies. This book sounds amazing! I would love to own this cookbook. I have six children and run an in home daycare. My goal is to constantly provide healthy energy for whoever is in my home. I would love to win this because we eat completely gluten free and I want to eliminate refined sugar from our diet as much as possible and this will be a great help in accomplishing that. I'm really trying to clean up my diet. Vegetarian for years and G-F for five years, but dismayed to find that most of the G-F recipes I have found are loaded with junk. I am so pumped to discover you and SSGF recipes! Following you on Facebook now! I really want to win this cookbook! I recently found out I have allergies to tree nuts to go along with dairy and gluten that I already have a problem with. Bummer, huh? I follow you on Twitter. My name is BearWithMS. I would love the book. We are allergen free and I would like to reduce my son's sugar intake (whole family as well). I would love to win a copy of this book because I am trying to cut down on the amount of sugar I consume - and it's not easy. I'd have so much fun with that cookbook. Just beginning to use stevia. Lots to learn. I'd have so much fun with this cookbook. Just learning about stevia now. I'd love to reduce my sugar intake so this would be awesome to win, thank you! 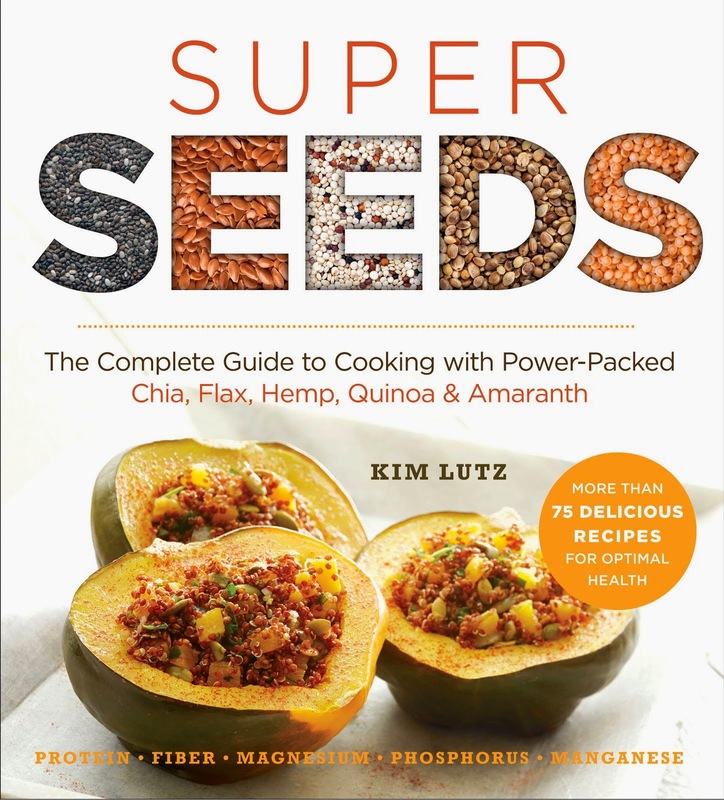 I currently own a copy of Amy Green's SS&GF cookbook and truly enjoy the recipes sans refined sugar. 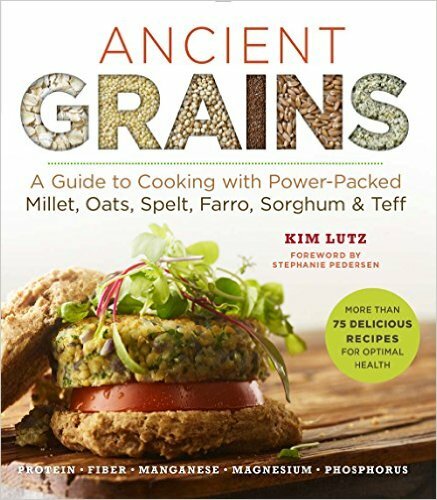 I would love to have another book to gift to a gluten intolerant friend of mine, especially, to introduce her to another world beyond refined sugar. Thank you for the chance to win. I would love to win this cookbook, I am trying to cut as much sugar out of my diet as possible. I try to eat gluten-free as much as possible. I would love this cookbook to help me cook for my son with food allergies...gluten-free is a must for us, and less sugar is so important for toddlers! Thanks! Following you on FB...hope I win the cookbook! Oooo those brownies look so good! I want one for breakfast! If I had the book, I'd make those brownies for breakfast, because I want one right now! I'd like to win this book. Have been trying to eat healthier and limit sugar where possible. regarding the contest. Thanks. Where should I email you? I'm so glad to hear from you, Linda! My email address is kim at welcomingkitchen dot com. Congratulations!